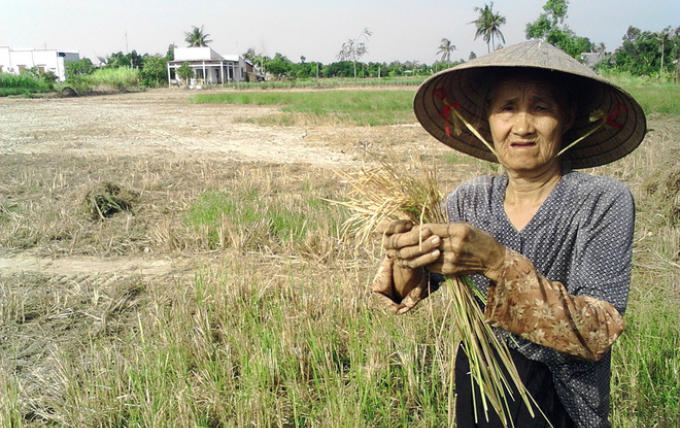 Residents in six Vietnamese provinces will benefit from the relief program through February. The United Nations Children’s Fund (UNICEF) and the Vietnam Red Cross Society on Tuesday inked an agreement for a relief program for six Vietnamese provinces affected by drought and saltwater intrusion this year. The project will improve sanitary conditions and access to clean water for 10,000 children and 15,000 women in six provinces in the central and southern regions -- Binh Thuan, Ninh Thuan, Ben Tre, Soc Trang, Kon Tum and Gia Lai. The project will be implemented between November and February next year with a total fund of $125,000. UNICEF Vietnam Acting Representative Jesper Moller said the project will focus on helping the most vulnerable victims, schools, households of severe weather conditions. Chairwoman Nguyen Thi Xuan Thu of the Red Cross Society said that the project will bring hope and support to affected people, especially poor children and those with disabilities.